Keep up-to-date on skincare tips and health news. Winter has come early! December 21st marks the first official day of winter, but this year many parts of the United States have already experienced cold dry air, freezing temperatures and snow. Heaters and electric blankets are working overtime, and your skin is paying the price. 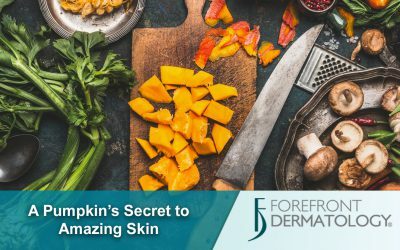 To keep you looking and feeling your best, the dermatologists in Grand Rapids, Michigan offer these winter skin health tips to help you avoid seasonal dry skin. Your favorite summer moisturizer might have gotten you through the fall months, but to avoid dull, dry skin during the winter it’s time for a change. Look for moisturizers that are oil-based: they provide the skin with a protective layer that helps hold in moisture. When it comes to winter moisturizing, more is better. Do you typically moisturize in the mornings? Add to your routine and apply moisturizer again at night before you go to bed. While you sleep, your skin is resting and repairing, and this nighttime application of moisturizer supports your skin’s restorative work. Don’t forget the sunscreen! It might not be 85 degrees outside, but the sun’s rays are still damaging to your skin. During the day, use a moisturizer that contains sunscreen with an SPF of 15 or higher. Cold winter weather is often the culprit when it comes to dry skin; don’t add to the problem with products that further irritate and cause skin dryness. 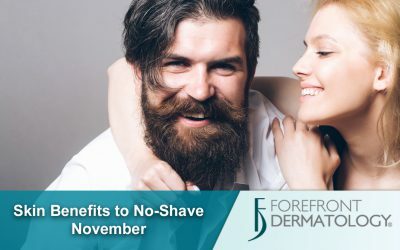 Now’s the time of year to ditch the products that contain alcohol, alpha-hydroxy acids and benzoyl peroxide and replace them with products that moisturize and soothe the skin. Look for gentle skin cleansers, alcohol-free toners and hydrating facial masks. Change up the frequency of your skin care routine. 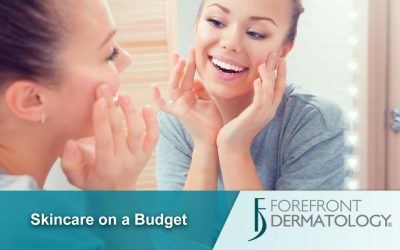 It’s important to keep your skin clean, but during the winter months less-frequent washing and deep cleansing treatments can help prevent irritated, dry skin and acne breakouts. During the winter it might feel good to soak in the tub or take a long, hot shower, but a warm bath might be the better answer. Prolonged exposure to hot water breaks down the protective oils on the skin, leaving it tight and dry. Keep your baths and showers short, and use warm water and a mild cleansing product to help prevent over-drying your skin during the winter months. Also, consider using a moisturizing soap or shower gel that is gentle on the skin and doesn’t strip away the natural oils. Using a product that contains oatmeal can help soothe the skin while bathing. The skin on our hands is thinner and has fewer oil glands than other areas of our body. This, along with frequent hand washing and the harsh winter environment, often take a toll on our hands, resulting in dry, cracked skin. Using a moisturizer designed for the skin on our hands can help eliminate this problem. Hand lotion is designed to be thicker and form a long-lasting protective barrier. Choose a product that contains sunscreen and reapply it often throughout the day, especially after you have washed your hands. Using an oil-based hand cream at night can help you wake up with soft skin in the morning. Do you have a question about the best winter skin care products? 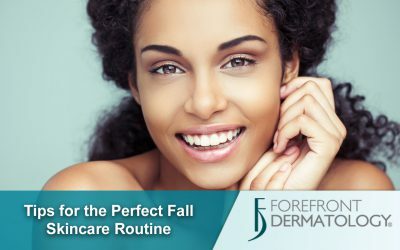 Are you experiencing a flare-up of seasonal acne or eczema? 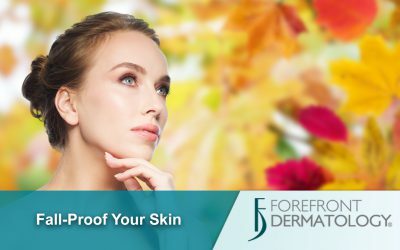 The skin health professionals at Forefront Dermatology are your partners for winter skin health, offering personalized treatments to meet your needs. To make an appointment, call 855-535-7175 or you can request your appointment online. Forefront Dermatology is the best dermatology practice in the United States with numerous convenient locations. We diagnose and treat skin cancer and all diseases of the skin, hair and nails; such as acne, warts, rashes, rosacea, skin cancer, psoriasis, eczema, and mole and cyst removal. 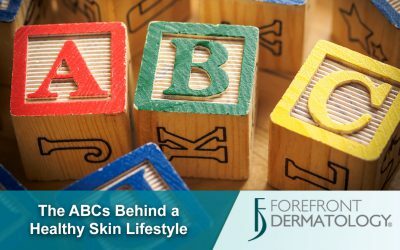 With a diverse group of dermatologists, we are able to provide patients timely access to a diverse collection of expertise, such as Mohs micrographic skin cancer surgery, dermatopathology and pediatric dermatology. In addition to our medical expertise, our experienced dermatologists also offer the latest cosmetic procedures to help revitalize and rejuvenate your skin, such as cosmetic filler treatments with Dysport, Juvederm and Radiesse as well as Botox. We also offer a wide variety of chemical peels that allow us to tailor a treatment that is right for your specific skin condition. Your skin is the largest organ of the body, protecting you from many environmental stresses. Leave it to our team of experts and the best dermatology in your neighborhood to help keep your skin healthy and looking its best. We encourage you to browse our website for information on our locations, dermatologists and treatment options. Did you like this post? Please leave a comment below. Join our online communities on Facebook, Twitter, Google+ and LinkedIn.